Thank you to our customers from Mount Vernon! For years, Mount Vernon residents have chosen Sedro-Woolley Auto Parts for auto parts. We appreciate the loyalty that we have found from our Mount Vernon customers. 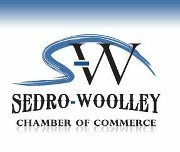 For new customers, Sedro-Woolley Auto Parts is a leading auto parts shop that has a reputation for customer service excellence, and quality auto parts. Our services include Batteries, Counter Services, Custom Paint Services, Hoses, Machine Shop, Paint Brands, Paint Supplies & Services and Refurbishing Supplies. For questions please give us a call at 360-855-0341. Sedro-Woolley Auto Parts located at 816 Murdock St is where customers go to find affordable, professional auto parts!